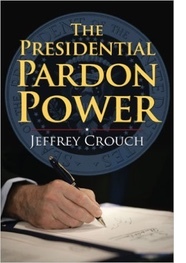 Jeffrey Crouch is the author of The Presidential Pardon Power (University Press of Kansas). He is an assistant professor at American University. Speculation has been running rampant on who might be the lucky recipient of a sentence commutation or pardon from President Barack Obama in his final days in office. To best answer that question, it is helpful to review his clemency approach so far. Obama’s use of sentence commutations, particularly in the past year or so, has been nothing short of historic. To date, he has issued over 1,000 commutations, largely to nonviolent drug offenders. This total includes more commutations in one year than any other president, and the most commutations overall of any president in roughly a century. Why so many? In 2010 Obama signed the Fair Sentencing Act, which reduced the sentencing disparity between offenses for crack and powder cocaine. However, the change was not retroactive, and left behind a large number of crack offenders (disproportionately African American) still facing unjust sentences when compared to powder cocaine users (predominately Caucasian). Rather than opting to simply ignore this disparity, Obama asked the legal community for its help in finding worthy applicants for presidential mercy. One important result of that request was Clemency Project 2014, an organization made up of five other groups that answered the president’s call to action. Clemency Project 2014 helped to identify good candidates for clemency for the Office of the Pardon Attorney (OPA), the president’s clemency screening apparatus located in the Department of Justice. It took the Obama administration until the latter part of its second term before the commutations started coming frequently, frustrating some in the advocacy community who see time quickly ticking away. Still, commutations – primarily for nonviolent drug offenders – have lately been coming fast and frequently. Between December 18, 2015 and November 30, 2016, Obama commuted a whopping 934 prison sentences. Not all prisoners have been released right away. In some cases, offenders’ sentences have been reduced, but they will still remain behind bars for years. 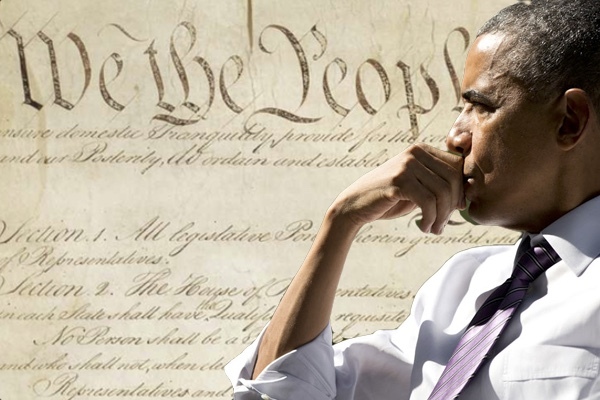 It is anyone’s guess how many more commutations Obama may grant before he leaves office, but it’s very likely that more (and possibly many more) are coming. For all of Obama’s commutation activity, he has issued full pardons much less frequently than his recent predecessors: Only 70 in nearly two terms, far less than George W. Bush (189) and Bill Clinton (396) did in two terms each, and even less than George H.W. Bush (74) did in a single term. However, Obama has suggested that, when it is all said and done, his pardon total will be comparable to other presidents. If Obama does start granting more pardons, they will probably not be going to any recognizable names. In fact, he has resisted pressure at various times in his presidency to pardon all of the following famous offenders: whistleblower Edward Snowden, the late boxer Jack Johnson, Leonard Peltier, Chelsea Manning, and others. It remains unlikely that any of these prominent figures will receive clemency. If Obama continues his current approach, he will probably also not grant a controversial, self-interested pardon, which would be significant: His three predecessors each succumbed to the temptation to offer clemency to supporters or allies. After losing his reelection bid to Bill Clinton, George H.W. Bush offered pardons to six Iran-contra offenders. Among those offenders was former Secretary of Defense Caspar Weinberger, who had been investigated by a special prosecutor. One result of the pardon was that Weinberger would not have to face trial after being reindicted by the special prosecutor. Another result of the pardon was that George H.W. Bush would not be called to testify in a potential Weinberger trial. Bill Clinton made a number of controversial clemency decisions as president, not the least of which was offering conditional clemency to members of the FALN, a Puerto Rican Nationalist organization associated with acts of terror. Remarkably, Clinton offered presidential mercy despite the opposition of law enforcement. Perhaps even more notable than that was his pardon of Marc Rich, a fugitive from justice who was hiding in Switzerland to avoid prosecution for tax charges. Rich’s ex-wife had donated a half million dollars to the Clinton presidential library and participated in a campaign to win a pardon for Marc Rich. Finally, George W. Bush commuted the prison sentence of “Scooter” Libby from 30 months in prison for four felony convictions to no time. Libby had become the target of special prosecutor Patrick Fitzgerald as the latter investigated who may have leaked Valerie Plame’s secret CIA identity. In recent days, reporters have wondered whether Obama might use his clemency power to forgive “DREAMers,” Jack Johnson, Marcus Garvey, and some of the others mentioned earlier. The Obama administration has given no indication that it plans to invoke the clemency power to pardon any of these offenders, but speculation persists nevertheless. On Friday, January 20, 2017, Barack Obama’s presidency will end and Donald Trump’s will begin. What will President Trump do with clemency? If he follows the example of Obama and Bush, probably not much, at least, not right away. In fact, Bush took nearly two years to use clemency once he became president; Obama waited almost as long as Bush. Still, Obama made a significant mark with his commutation program, even if his pardon policy has lagged. What will President Trump keep, revise, or scrap from Obama’s clemency program? Stay tuned.